If you could go back and speak to yourself on your diagnosis day, what would you say? 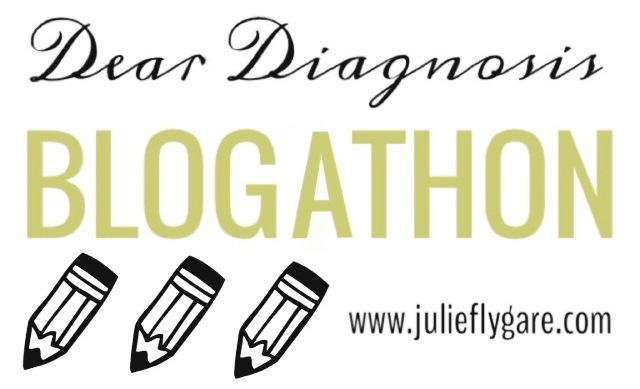 “Dear Diagnosis” is a Blogathon inviting all narcolepsy and chronic disease bloggers to write a letter to yourself on your diagnosis day. Join us! The rules are simple: Publish a post in response to this prompt on your blog/tumblr between November 1 – 7, 2013 and email me the link at REMRunner01@gmail.com. I will share the links on this page. Hmmm, that’s a tough one…. would I be positive about the event, or negative about how things have been since…. Looking forward to reading the letters once they start publishing, as well as writing my own as well. On a side note – I’m very much enjoying your memoir Julie. It’s quite something to be able to experience another person’s perspective throughout the entire diagnosis process. Thank you so much for participating in the Blogathon, Chris! I’m so glad you are enjoying my book – thanks for reading it! Thank you again Julie for such a great web-site and hosting the Blogathon. It has been truly inspirational for me to write my letter as well as reading the many others that have posted here the last week. Thank you for putting so much time and effort into raising awareness for us all. I haven’t read your book as of yet, but do plan on doing so. Keep up the great work you have started. Thank you, Terrie! I have enjoyed this blogathon so much too. I’m so thankful for your support of my efforts. I’m so beyond honored to be a part of this community. Thank you for trusting me and being part of your journey! 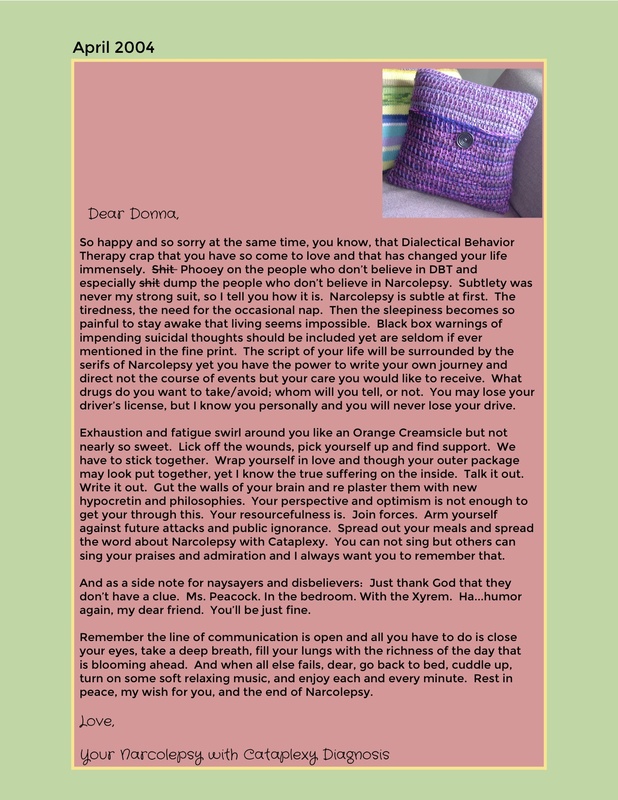 Dear Julie (For the “Dear Diagnosis Blogathon”) – OMG PWNY! Previous post: FDA Narcolepsy Meeting Video – Watch Now!